2-DAY SPECIAL: 25 - 26 APRIL ONLY! FREE SHIPPING WHEN YOU SHOP RM80 & ABOVE (WEST MALAYSIA) AND RM100 ABOVE (SABAH/SARAWAK) || FREE SHIPPING TO SINGAPORE & BRUNEI WHEN YOU SHOP RM300 & ABOVE THIS WEEK! 28 Hari : Kulit Lebih Cantik & Glowing! There's a big dinner & I need to cover my blemishes FAST! No worries, dolls! We all love our skin but sometimes you just need to cover all the blemishes for big nights. 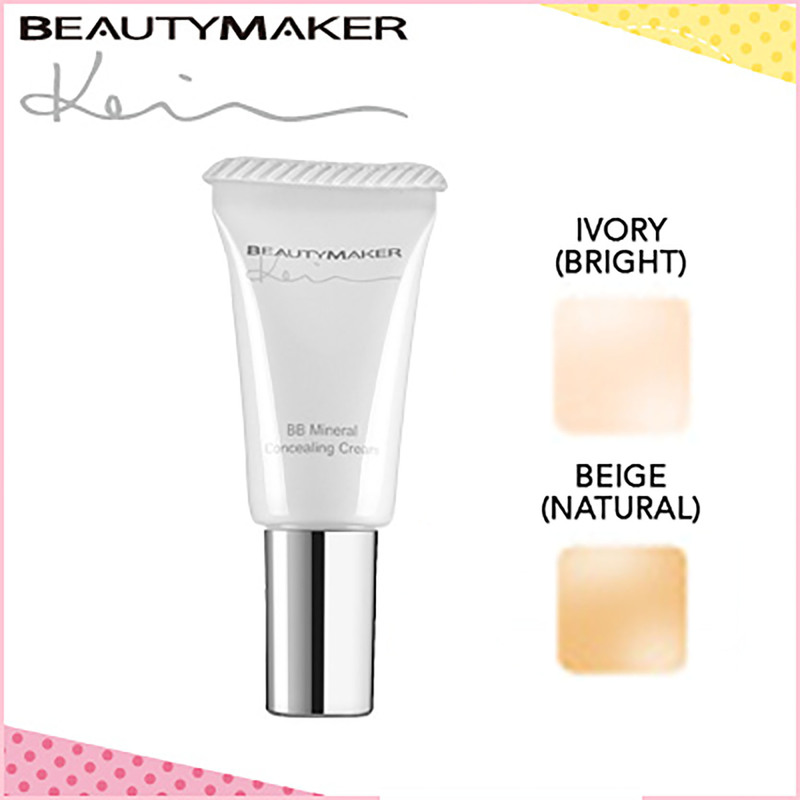 Thanks to Beautymaker BB Mineral Concealing Cream, it will cover all the impurities while the BB mineral hydrates your skin in no time! 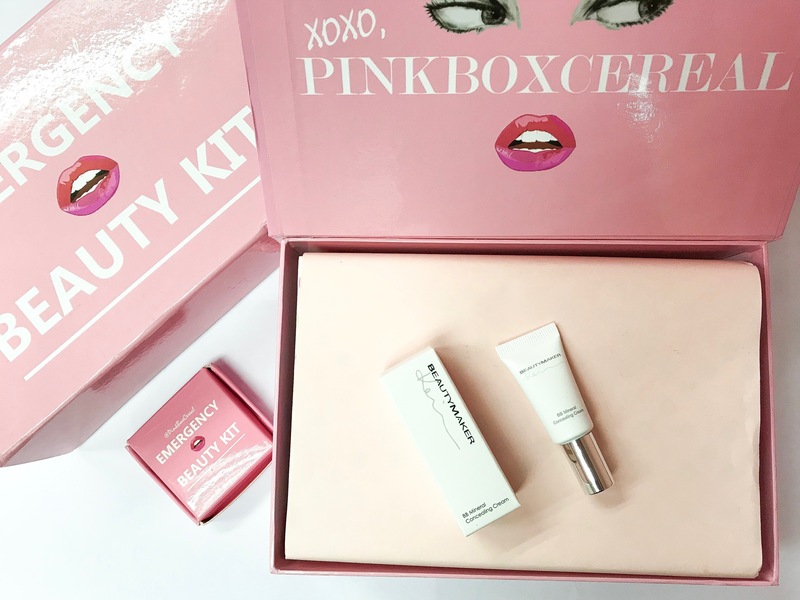 Conceal, hydrates & brightens! - Hydrates your skin all day! - Brightens your skin complexion for a radiant glow! - Great for under eyes and dark circles! 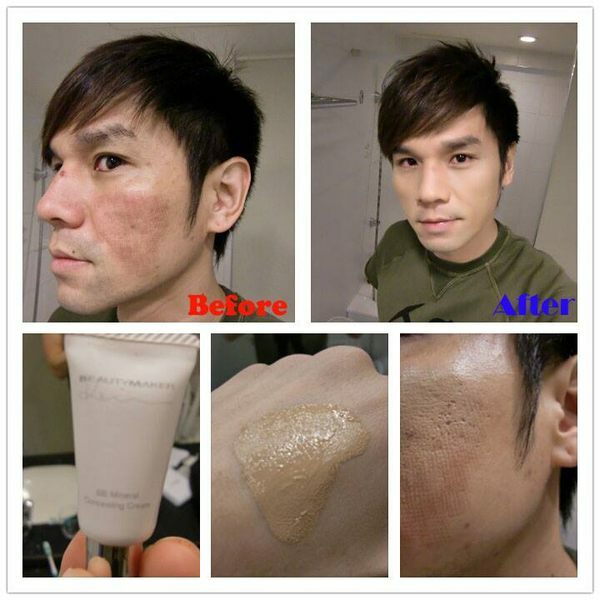 - High content of skin care ingredients, this product will improve your skin condition overtime! 1. On a cleanse skin, dab a small amount on blemishes or any areas that you want to cover. 2. Be sure to apply evenly throughout your skin. 3. Continue with other makeup application if needed. Titanium Dioxide/Dimethicone, Hydrogenae Vegetable oil, Squalan (Vegetable), Caprylic / Capric Triglyceride, Dipropylene Glycol, Caprylic / Methicone Triglyceride, Iron Oxide Yellow, Glycyrrhiza Glabra (Licorice) Extract, Helianthus Annuus (Sunflower) Seed oil, Cyclopethytsilsesquiozane And Dimethixon/ Vinyldimethicone, Cetyl Peg / Ppg-10 / 1dimethicone, Sodium Chloride, Sorbitan Sesquilsostearate, Water (Aqua) Butylene Glycol Magnesium Ascorbyl Phosphate, Acetvl Tyrosine, Scutellari Balcalensis Extract, Saxifrage Sarrnentosa Root Extract, Cetyl Dimethicone. Paeoria Suffruticosa Root Extract, Ethyl Ascorbyl Acid , Hydrogenate Castor oil, Iron Oxide Red, Sodium Hyaluronate, Methyi Paraben, Soybean Extract, Propyl Paraben, Linoleic Acid, Tocopheryl Acetate, Arbutin, Butylparaben, Panthenol, Iron Oxide Black, Disodium Edta, Tocopherol, Retinol, Iron Oxide-Brown. - FDA mendapati bahawa paraben adalah selamat untuk digunakan dalam kosmetik, dan juga mengatakan bahawa, berdasarkan berat semua bukti saintifik semasa, tidak ada sebab bagi pengguna untuk mengambil berat tentang penggunaan produk yang mengandungi paraben. - The FDA found that parabens are safe for use in cosmetics, and it also says that, based on the weight of all the current scientific evidence, there is no reason for consumers to be concerned about the use of products containing parabens.